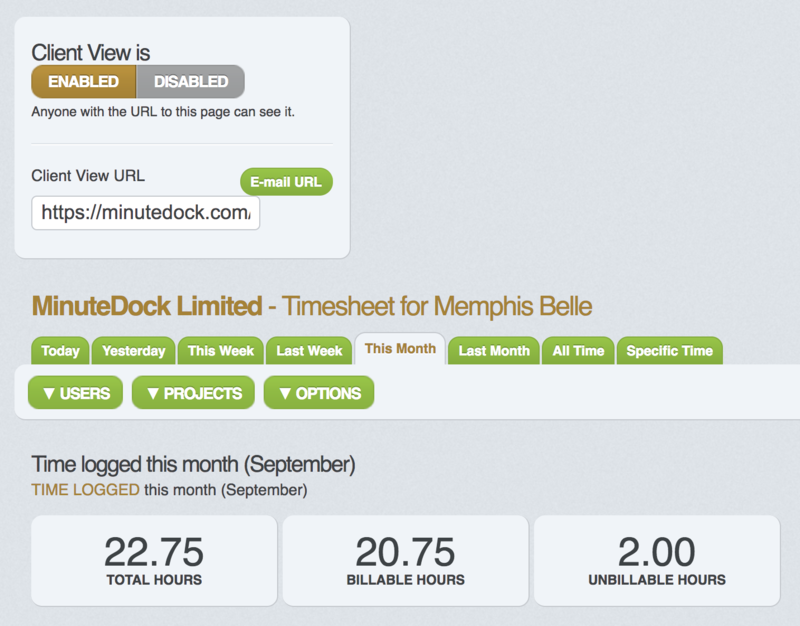 Client view is a link you can send to your client which allows them to view - in real time - the time you’ve logged in MinuteDock while working for them, without having to log in or create an account. Your clients can filter by week or month to get a feel for how big your next invoice is going to be. To enable client view for a contact, click the Contacts tab, find the contact you’d like to enable it for, click the “client view” button on the bottom left and then click “enable client view” at the top – then copy the URL that appears in the box below and send this to your client.